We’re not looking at demonstrations and we don’t want to hurt anybody. We are in a process of celebrating. This is our season. We celebrate Columbus’s voyage, as well as our own personal family voyages. In those days you conquered, pillaged, raped, and you moved back to your country. So, if Christopher Columbus was involved in that by finding a trade route, then he was involved. But that has nothing to do with what we did. We came looking for a better life. It’s difficult to understand how, overnight, Christopher Columbus became the villain of the country. In the beginning of August, the villain was the statue of Confederate general Robert E. Lee, then being removed from a street in Charlottesville, and the ensuing demonstrations where a woman was killed in a clash between white supremacists and college students. Then, all of a sudden, the statue of Christopher Columbus in Manhattan comes under fire. How did that happen? Well, what happened was, he became an instrument. He became a politician’s tool. 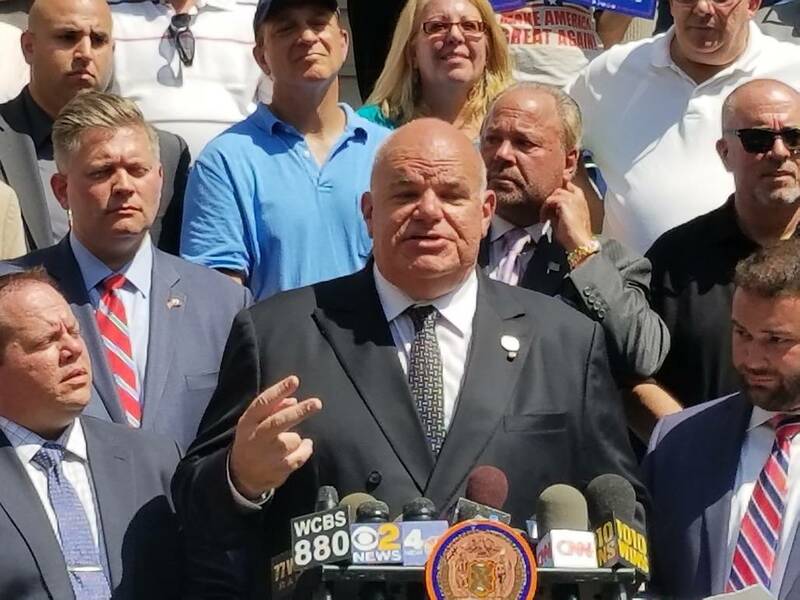 So all of a sudden, as you say, on August 21st, Melissa Mark-Viverito, the Speaker of the New York City Council, comes out and calls a press conference to call on the Mayor to consider taking down the statue of Columbus. Other than that, there is no relationship between Robert E. Lee, slavery, the South, and Columbus. She, the Speaker, created this entire spectacle. She picked that statue, she picked that venue, she picked that fight. I received phone calls from labor leaders and politicians while I was in Nebraska watching the eclipse with my family. I called a friend, Councilman Joe Borrelli, and told him we need to take this argument to the steps of City Hall. He pursued it right to City Hall, quickly and swiftly. We brought out a reputable crowd of people who were able to talk about what this meant. It seems the Council’s Speaker has a following; there have been incidents. Columbus became the object of vandalism all over the country. It happened after she started it. And the Mayor, in an effort maybe to protect her, said he would create a committee and would come out in ninety days with a list of questionable monuments. The vandalism and the hatred weren’t planned, but the Speaker apparently needs attention, because she is term-limited and as of next January will no longer be a councilmember, so she may be looking for relevance beyond January. There was speculation that she was going to try to run for Governor of Puerto Rico, and now there’s speculation that she may run for Congress. So she may be trying to use shock to be able to get her core group to follow her. Now as soon as you challenge her, she actually claims that she’s the victim. So you can’t win. She’ll do anything to get the spotlight. To your knowledge, has any Italian-American organization spoken with the Mayor or the Speaker regarding Columbus? No. That’s the biggest problem. There’s no communication with the mayor’s office or with the Speaker’s office; to be able to say, “Come on, let’s sit down, let’s have a conversation, let’s understand what the situation is.” The Mayor wants to say he’s half Italian, because that’s convenient during an election. Even the speaker says she’s half Sicilian, and she’s never attended an Italian parade. I’ve never seen her supporting anything Italian. So, I don’t really know what the purpose of that is. But, you would think that either one of them would have a better relationship with the Italian community—but the reality is, there is no relationship. Except for an event that he holds once a year and we attend because we’ve always attended in the past. But, no, there’s no communication. They really don’t want you to come up with an amicable solution to the problem. And, the problem isn’t necessarily Columbus Circle, the problem is that the speaker has created this problem. So, the only Italian-American politician in favor of leaving the statue where it is, is the governor. Yes, absolutely. The only politician, that I know of, who goes across county lines, is the Governor. The mayor refuses to have an opinion and all the speaker says is that they “want to be responsive to the needs of the city,” but they’re totally ignoring the fact that Italian Americans are speaking up. They’re claiming to be listening to a Native American constituency, but nobody knew who they were at least until September 21st, when a letter came out—one month to the day later—calling for the mayor to remove the statue. 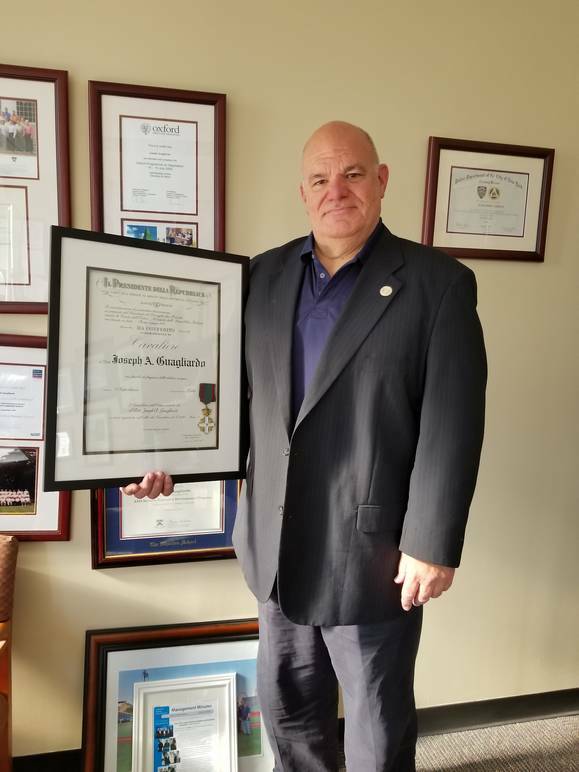 You represent a number of civil service and police fraternal associations. We’re talking of thousands of people. Do you think you can involve these people? Ask them to demonstrate? I represent two groups. I represent the National Council of Columbia Associations, but as of last January, I’m also the president of the Conference of Presidents of Major Italian-American Organizations. Two very different groups. I always say they are—and I mean this in a respectful way—the merging of the blue-collars and the bluebloods. On the one hand, the Conference of Presidents is an organization made up of very successful organizations, private industries with lodges and memberships, very unique in their own way; on the other hand, I represent civil servants, including police officers, sanitation workers, fire fighters, corrections, officers in an array of civil service organizations. To be able to represent both of these umbrella groups is a privilege and quite frankly, very challenging. But we’re not looking at demonstrations and we don’t want to hurt anybody. We are in a process of celebrating. This is our season. We celebrate Columbus’s voyage, as well as our own personal family voyages. Because we are a culture and we have a history of coming to America during different periods of time. I think that what has caught on to both of the memberships that I represent is to not be negative about this. First of all, this isn’t really our fight. This is a fight of hate, when they’re condemning a person. A person who did something five hundred and fifty years ago. Scholars still disagree on him. If we start arguing with these haters, we’re going to lower ourselves to a level of gutter fighting. 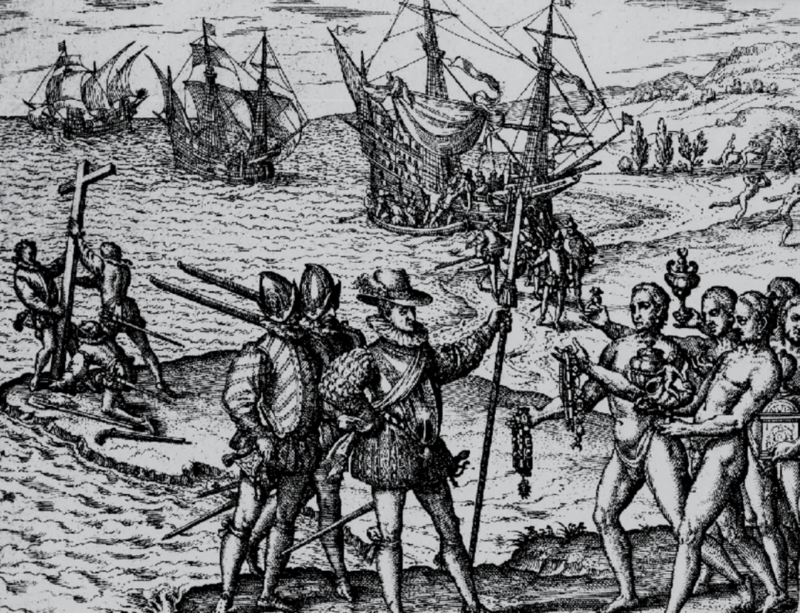 You have politicians who are saying “Columbus enslaved, killed, mass-murdered…,” I don’t know what Columbus did five hundred fifty years ago. I’m sorry for what Columbus did, if he did that five hundred fifty years ago. The reality is that my family didn’t come here until 1906 and had absolutely nothing to do with what Columbus did or with American slavery. We never owned slaves. In fact, when people say, “We owe the Indians” or “We owe black Amercians an apology,” I’m still waiting for the Moors to apologize to Sicilians, or for the English, or for the Piemontese King Vittorio Emanuele and for every country that invaded Sicily. There are no apologies because in those days you conquered, you pillaged, you raped, and you moved back to your country. So, if Christopher Columbus was involved in that by finding a trade route, then he was involved. But that has nothing to do with what we did. We came looking for a better life. Do you think the petitions they’re writing in Italy and here, to President Trump, will they help in some way? Right now, I don’t think that Columbus Day on the national level is in jeopardy yet. I think that as we watch little venues do away with Columbus Day, this may continue and start to spread out and it may be a threat on the federal level. We have to understand that Los Angeles. didn’t lose the day because the Native American community was strong, but because the Italian American organizations splintered with different agendas. We haven’t experienced that in New York. 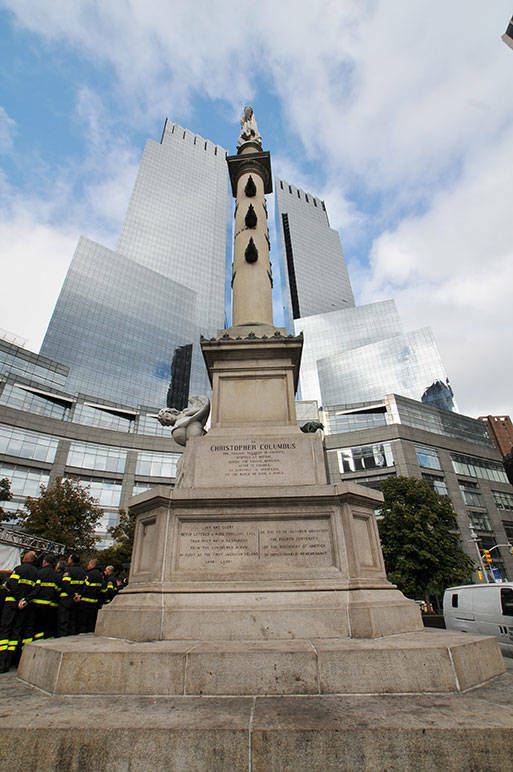 New York is ground zero for the world to recognize Columbus. We should not be giving it up. Not because of the name, but why are we giving it up. L.A. lost because once they splintered, there was nothing left and so the other side was able to win and get rid of Columbus Day. On August 21st when the speaker stood in front of that statue and called for it to be taken down, we were prepared. After Councilman Joe Borrelli and I sparked that fire, all the organizations lined up, and they came and supported what we did. Our goal was twofold: one, save the day. That is essential. Two, save the monuments. Whether it’s a street name, or whether its on a building or whether it’s a statue. Now we need to be able to show politicians that today, next year, and the year after that, if you come out against the Italians, if you come out against our monuments, we’re going to come together and we’re going to make it difficult for you. We don’t want to have this fight anymore. We want to end it this year, and the only way to do so is by showing the numbers and showing support. So, we don’t jumble any other issues with this. Christopher Columbus is the person who Italian Americans wrapped themselves around and made part of our families. Italian Americans came here and we found Christopher Columbus here. I don’t even think it was an issue in Italy. We learned about Columbus in school here, and it became our ”thing.”. We honor our people. And, I’m hoping that before the election in November the mayor can find it in his heart, his common sense, and his political smarts to sit down with the Italian-American community and come to an understanding to preserve and to protect Christopher Columbus in the city of New York, now, and forever going forward. You must have done something great for Italy, because you received the Order of Merit of the Italian Republic. I was honored, I can’t tell you. Nothing has given me more of an honor and I dedicate it to my grandparents. I have dual citizenship and I was sworn in by the former governor of New York and the former Consul General of Italy as new president of the National Council in order to be a cultural bridge between the U.S. and Italy. We have organizations in America that need to be able to reconnect with Italy. Not only for what they can do for us, but for what we can do for them.